The CONCACAF Gold Cup (Spanish : Copa de Oro de la CONCACAF) is the main association football competition of the men's national football teams governed by CONCACAF, determining the continental champion of North America, Central America, and the Caribbean. The Gold Cup is held every two years. The Confederation of North, Central American and Caribbean Association Football is the continental governing body for association football in North America, which includes Central America and the Caribbean region. Three geographically South American entities — the independent nations of Guyana and Suriname and the French overseas department of French Guiana — are also members. CONCACAF's primary functions are to organize competitions for national teams and clubs, and to conduct World Cup and Women's World Cup qualifying tournaments. The Confederación Centroamericana y del Caribe de Fútbol, also known by its initiallism CCCF, was the governing body of association football in Central America and the Caribbean from 1938 to 1961. The North American Football Confederation (NAFC) was founded in 1946 and a forerunner to the CONCACAF as the governing body of football in North America until 1961, when it merged with the Confederación Centroamericana y del Caribe de Fútbol (CCCF) to form CONCACAF. The 1991 CONCACAF Gold Cup was the first edition of the Gold Cup, the football (soccer) championship of North America, Central America and the Caribbean (CONCACAF), and the eleventh overall CONCACAF tournament. The last time the CONCACAF Championship was held was 1971, from that point on the first-place finishers of World Cup qualifying were considered continental champions. The 1993 CONCACAF Gold Cup was the second edition of the Gold Cup, the football (soccer) championship of North America, Central America and the Caribbean (CONCACAF). The Guadeloupe regional football team represents the French overseas department and region of Guadeloupe in international football. The team is controlled by the Ligue Guadeloupéenne de Football, a local branch of French Football Federation. ( 1 ) Costa Rica and Jamaica shared third place. El Salvador national football team is governed by the Salvadoran Football Federation (FESFUT). The CCCF Championship was an association football (soccer) tournament made for teams in the area of Central America and the Caribbean between the years of 1941 and 1961. It was founded in 1938 and the precursor of the CONCACAF, that was formed when CCCF merged with the NAFC in 1961. The North American Football Confederation also organized the NAFC Championship in 1947 and 1949, which was revived in 1990 and 1991, after 41 years of absence, before the introduction of the CONCACAF Gold Cup. The Suriname national football team represent Suriname in international football. It is controlled by the Surinamese Football Association. The Copa Centroamericana is the main association football competition contested by the senior men's national teams of the members of the Unión Centroamericana de Fútbol (UNCAF), the sport's Central American governing body. Held every two years since 1991, in the years before and after the FIFA World Cup tournaments, it was originally called the UNCAF Nations Cup, changing to the current name in 2011. The Unión Centroamericana de Fútbol, more commonly known by the acronym UNCAF, represents the national football teams of Central America: Belize, Costa Rica, El Salvador, Guatemala, Honduras, Nicaragua, and Panama. Its member associations are part of CONCACAF. The CONCACAF Women's Championship, in some years called the CONCACAFWomen'sGoldCup or the CONCACAFWomen'sWorldCupqualifying, is a football competition organized by CONCACAF that often serves as the qualifying competition to the Women's World Cup. In years when the tournament has been held outside the World Cup qualifying cycle, non-CONCACAF members have been invited. CONCACAF is the governing body for football for North America, Central America and the Caribbean. The most successful country has been the United States, winning their eighth title in 2018. The Francisco Morazán Stadium is one of the three stadiums available to the city of San Pedro Sula, Honduras. 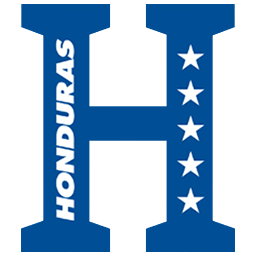 It is an official stadium for games of the National League of Professional Football in Honduras; as well as, for international matches and international competitions of the Football Confederation of North, Central and Caribbean (CONCACAF) and FIFA. 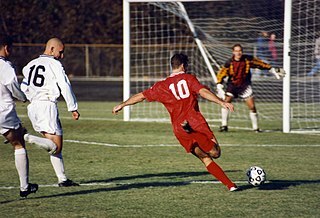 The 1991 UNCAF Nations Cup was the inaugural UNCAF Nations Cup, the Central American championship for men's national association football teams. It was organized by the Unión Centroamericana de Fútbol or UNCAF, and it took place in Costa Rica from May 26 to June 2, 1991. All matches were played in the Costa Rican capital, San José at the Estadio Nacional. The top two teams, apart from Costa Rica, go on to participate in the 1991 CONCACAF Gold Cup. Costa Rica were given a bye due to their performance at the 1990 FIFA World Cup. The 1989 CONCACAF Championship was the tenth and last edition of the CONCACAF Championship held under the format of serving as qualification to the 1990 FIFA World Cup and having no host nation for the final round. The tournament would be succeeded by the CONCACAF Gold Cup in 1991. The year of 2011 in CONCACAF marked the 48th year of CONCACAF competitions. 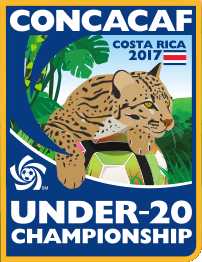 The 2017 CONCACAF Under-20 Championship was the 5th edition of the CONCACAF Under-20 Championship, the men's under-20 international football tournament organized by CONCACAF. It was hosted in Costa Rica between 17 February and 5 March 2017. The CONCACAF Gold Cup is North America's major tournament in senior men's soccer and determines the continental champion. Until 1989, the tournament was known as CONCACAF Championship. It is currently held every two years. From 1996 to 2005, nations from other confederations have regularly joined the tournament as invitees. 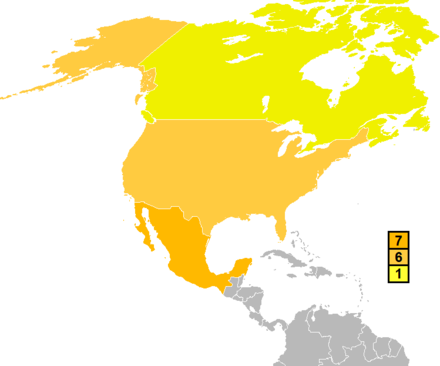 In earlier editions, the continental championship was held in different countries, but since the inception of the Gold Cup in 1991, the United States are constant hosts or co-hosts. Since then it has expanded to more countries in North America. The CONCACAF Gold Cup is North America's major tournament in senior men's football and determines the continental champion. Until 1989, the tournament was known as CONCACAF Championship. It is currently held every two years. From 1996 to 2005, nations from other confederations have regularly joined the tournament as invitees. 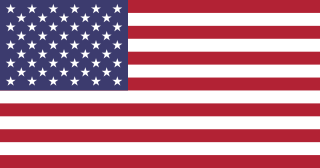 In earlier editions, the continental championship was held in different countries, but since the inception of the Gold Cup in 1991, the United States are constant hosts or co-hosts. ↑ "2007 CONCACAF Gold Cup – Technical Report" (pdf). CONCACAF. 12 November 2007. p. 4. Retrieved 28 November 2016. ↑ "1985 Gabriel Kafaty Cup". Flickr. 3 April 2009. Retrieved 29 November 2016. ↑ "2013, 2015 CONCACAF Gold Cup winners will play one-off match for 2017 Confederations Cup berth". MLS Soccer. April 5, 2013. ↑ "Montagliani happy with 2016, sees big things for CONCACAF in new year". Jamaica Observer . 5 January 2017. Archived from the original on 2017-02-14. Retrieved 13 February 2017. Of course the Gold Cup is this year and it is the last edition of 12 teams as we will increase it to 16 for the 2019 version. ↑ "Costa Rica to host 2019 Gold Cup group matches". 26 November 2018. Retrieved 26 November 2018. Wikimedia Commons has media related to CONCACAF Gold Cup .